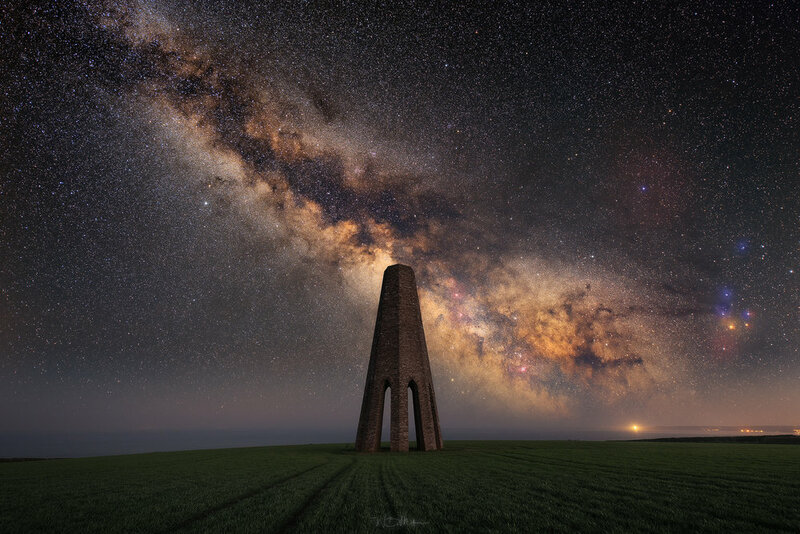 So, I'm mega pleased to announce that I have managed to retain the "Adobe" award for the second year running in this year's Landscape Photographer of the Year with my image of "The Daymark". I'm a little late to the party with the announcement, as I’m incredibly lazy. I wasn't really expecting to do all that well this year and I'm absolutely gobsmacked to bag the coveted Adobe sponsor award for the second year on the trot. A massive congratulations to all of the other amazing photographers that made it into the book (Out now). You'll also be able to see the image and exhibition (for free) in Waterloo station from the 19th of November . My image of “Durdle Door and the Milkyway” has WON the ‘Adobe Award’ on top of coming runner-up in the ‘Your View’ category in this year’s Take-a-View – UK Landscape Photographer of the Year competition. I genuinely wasn’t expecting to do very well, as I had seen some of the outstanding work others had put forward (the winner is amazing). The below image will be present in this year’s book “Landscape Photographer of the Year - Volume 11” (available today) and will also be on exhibition at waterloo station from 20th November to 4th Feb 2018. Chuffed is an understatement! And a massive congratulations to all the other successful entries!